This great CD features YASUS AFARI in combination with Toots and the Maytals, Benjamin Zephaniah, Black Uhuru, King Kapisi, Smudge, Nixti and the Dub Viijaan band among others. 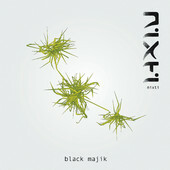 It features tracks such as "Hard and Tuff" and "Black Majik" (see links below) as well as another classic "Guide I and I Oh Jah Rastafari". 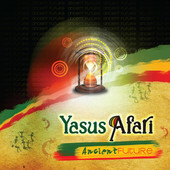 Yasus has produced 5 CDs, favoring "Roots Reggae", the lyrically conscious, political form of reggae which has more recently been realigning itself to traditional Rastafarian values. "Revolution Chapter 1" features YASUS AFARI's mantra "JAH is the essence of my life" and his international hit "Put it Een". 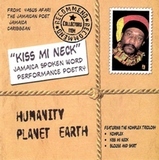 "Kiss mi Neck" - a gift to Humanity on Planet Eath, with beautifully packaged spoken word. "Gift of Vision"- another ground breaking compilation CD featuring Yasus Afari with artistes including: Black Uhuru, Beres Hammond, Freddie McGreggor, Luciano, Garnet Silk and Natural Black.